R. David Paulison is a Senior Advisor at Command Group and one of the world’s most respected leaders in emergency and disaster planning, response, and recovery. Mr. Paulison is recognized for restoring the morale and identity of the Federal Emergency Management Agency (FEMA) as the organization’s first post-Hurricane Katrina Administrator, a position in which he served from 2005 to 2009. 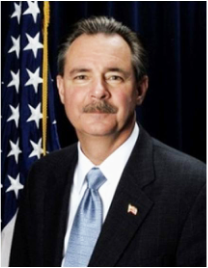 Before serving as Administrator of FEMA, Mr. Paulison led a distinguished career in which he served as Administrator of the U.S. Fire Administration and as Fire Chief of Miami-Dade County, where he was responsible for managing the Office of Emergency Management and the internationally experienced Urban Search and Rescue Team.